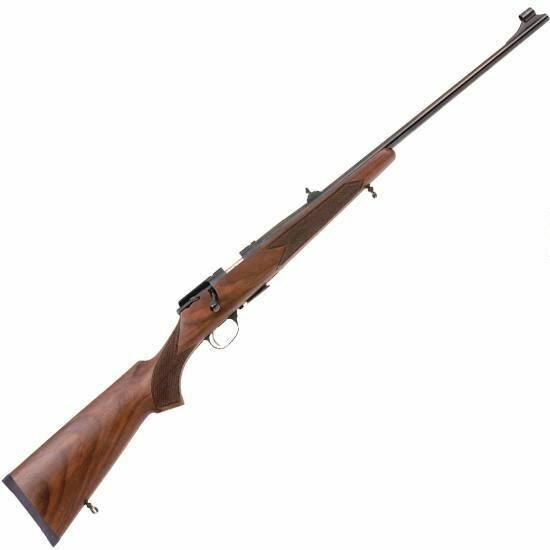 These high quality bolt action rimfire rifles are made with typical precision European Craftsmanship and exacting detail. They feature an action based on the proven reliability of the Mauser rifle system. The cold hammer forged 22" barrel is made of premium chrome vanadium steel and heavier than what would normally be found in similar rifles. The higher quality steel provides increased accuracy, decreased recoil, and better balance. The rifle features a weaver style rail milled into the receiver to attach your favorite optics or an alternate flip-up iron sight can be engaged. The ZMP22 is the perfect rifle for hunting or a day at the range.